It's well-known that Intel is keen for the next swathe of ultrabooks to feature touchscreens. 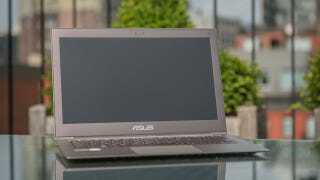 But it also has another wish for the future of svelte computing: it's teaming up with Nuance to outfit upcoming ultrabooks with voice recognition technology. What Would You Do With a Touchscreen Ultrabook? "Dragon Assistant is a direct result of Nuance and Intel's vision for a more human, natural interaction between people and their technology. You speak and the Ultrabook responds. Working closely with Intel, we've created a voice assistant experience optimized for the Ultrabook – incredibly fast, reliable, and with the performance you expect from a combined Nuance-Intel innovation." Or, in other words, this is Intel and Nuance trying desperately to keep up with Apple and Google. Like Apple's offerings, the Nuance software will let users search, launch software and dictate text without touching their keyboard, though it remains to be seen exactly how good it will be.